Limb salvage surgery is unique to every individual. Circumstances that lead to an arm or leg becoming at risk for amputation vary greatly from car accident injuries to complications of a disease like diabetes. 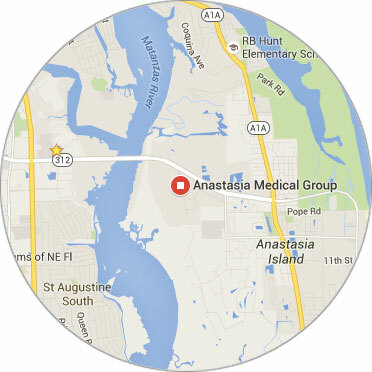 Taking a multi-disciplinary approach enables the Anastasia Medical Group team to provide the highest standard of care to each patient across a wide range of medical histories within a short drive from Jacksonville, FL. Although many people would envision limb salvage surgery taking place in a large hospital, Dr. Pereira’s highly resourced team of experts is able to operate within their more comfortable, convenient space on Anastasia Island. The patient’s initial exam, surgery, and recovery care can all take place within the same facility, surrounded by familiar, friendly faces. Anastasia Medical Group treats patients suffering from diabetes, neuroma, and other nerve or circulatory issues, as well as traumatic injuries and deformities. Often, lifestyle-based treatments or non-invasive care can halt or reverse limb damage. Sometimes, however, a limb is identified by our doctors as being at risk for amputation. Because the causes leading to this serious diagnosis can vary, it’s important to be assessed and treated by a team of doctors with a range of expertise and experience. Dr. Pereira, DPM, FACFAS, FAMOS trained as a surgeon at the revered medical facilities of St. Francis Hospital in Hartford, Connecticut and Columbia University Medical Center in New York. He holds certifications in a variety of advanced surgical procedures. He began specializing in the very successful Ilizarov method for bone lengthening and deformity correction after completing an advanced fellowship training as a lower limb reconstructive surgeon at the Russian Ilizarov Scientific Center in Kurgan, Russia. Reconstructive and limb salvage surgeries are notable strengths for Dr. Pereira. He leads an experienced team that brings a host of other strengths to the table. Dr. Suhas Neerukonda, MD practices internal medicine, treating chronic and acute illness relating to diseases affecting the internal functions of the body, including diabetes, heart disease, and hypertension. His expertise with diseases like these can help patients avoid becoming at risk for an amputation procedure. Dr. Cindy Chaconas, PT, DPT, ATC is an expert in rehabilitation. She practices orthopedic physical therapy, focusing on musculoskeletal pain and injury. For patients suffering from a traumatic injury and those recovering from surgery, her goal-oriented treatment philosophy helps expedite recovery and regain strong, stable limb function whether surgery is required or not. Dr. Pereira’s team of doctors and medical professionals combine their strengths and medical expertise to provide individualized treatment to every patient. Though patients present at risk for amputation from varied causes, the Anastasia Medical Group is prepared and has the resources to develop a modern, advanced treatment to help them reach their post-treatment goals. Patients seeking an initial evaluation or second opinion for amputation or limb salvage surgery should set an appointment with Dr. Pereira at Anastasia Medical Group. This serious procedure deserves the expert, multi-disciplinary approach that his team takes. Best of all, our facility on Anastasia Island is fully equipped to provide diagnostic, surgical, and rehabilitative care onsite.